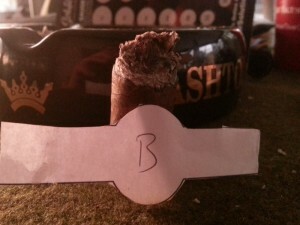 Recently, I had the chance to participate in a Mystery Cigar pass via one of the forums I am known to visit on occasion (Cigar Burners – now defunct). 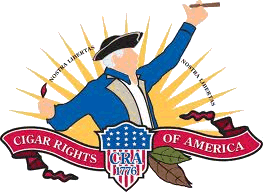 The idea is: a pass begins wherein a member sends three unbanded/unknown cigars to the first participant. 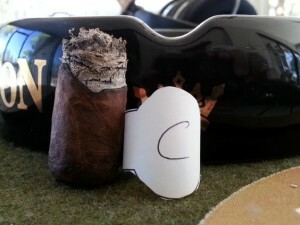 The participant then smokes and reviews the cigars, never knowing what they actually are until after the review is written. This participant then sends three other cigars to the next person on the list…ad infinitum. 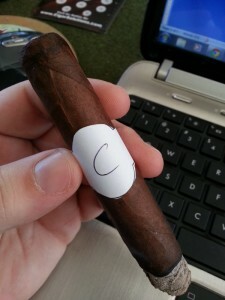 A big thanks to the guys over at Cigarburners for letting me be a part of the pass. My turn came up in the rotation, and I received the cigars as planned. 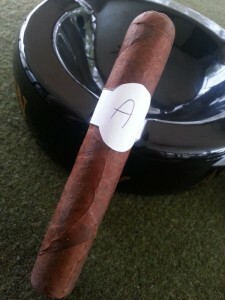 Craig and I do an unbanded segment on Half Ashed, which is very similar, with the two of us simultaneously smoking the same cigar – also unknown until after we have finished and critiqued it. This has shown itself to be quite a humbling experience….for example, on one previous show, we actually discussed the cigar we were unknowingly smoking at the moment, with Craig even noting that it was one of his goto sticks. Below are the results and “reveals” to the pass I just participated in. I didn’t think the wrapper was all that oily when I retrieved it from the humidor – but when I actually sat down and started to look it over, it was incredibly smooth & supple – had an oily feel without the sheen. It was very well made; no noticeable densities nor soft spots. Before lighting, it had a light cedar aroma on the wrapper; more savory at the foot – and was also a little more tangy. Cold draw of sweet hay. After that first inch, the pepperiness calmed down considerably. It developed a more leathery profile. The zing is still there, just less boldly. 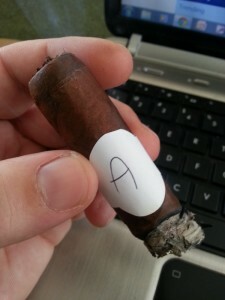 The flavors are bright; and going back to an analogy I made in an early Cigarmy review – I sometimes think of flavors being on a pitch scale (i.e. music)). These are higher in pitch than earlier. Kind of toasty – dry toast; almonds. Either my palate adjusted considerably, or the spice has toned down a lot by the end of the second third. The final third wraps up similarly to the second, although the strength definitely picked up in the final minutes. It still wasn’t overwhelmingly strong, but I might not start the day off with this one again – it’s a little stronger than my typical breakfast cigar, for sure. It didn’t set my world on its head in being a unique cigar, but was a good, solid smoke. Wrapup: I would have never guessed this cigar to be an illusione, despite having the distinct impression that it was Nicaraguan. My normal perception of the illusione line is with a bit more “roundness,” although my experience is slightly limited outside the f9 (which I adore). “Prelight, the wrapper aroma was incredibly faint and a bit cedarish – maybe from its storage rather than the leaf itself? The foot aroma was also faint, but not quite as much; sweet tobacco, almost oatmeal. I got a very mild hay flavor on the cold draw. It is an approximately 5.25″X50 (well, 50″ish” – it didn’t exactly fit a circle on my guage) Maduro. It fires off early with a good but manageable dose of spice in the nose. Within the first fifteen minutes, this cigar produced the most radical change in character that I may have ever experienced in a smoke. Five minutes in I would have guessed it to be of Nicaraguan origin; by ten, it was straight into what I think of as a Dominican profile; then, back to “sweet” Nicaraguan (like the sweet toasted oats I get from CyB). I hit a really dense – or wet – spot about 3/4″ in, which created a steep “pencil-point” for the ember. This probably tainted the flavor a bit as some of the central tobaccos were refusing to burn, which gave it a bit of a charred character. Draw seemed tighter in this area, but within about 10 minutes it had relaxed and it returned to normal. At the halfway point, I got some of the spice back. It’s still pretty sweet, and somewhat like a few of the La Aurora offerings, but with some of the initial nasal kick back. 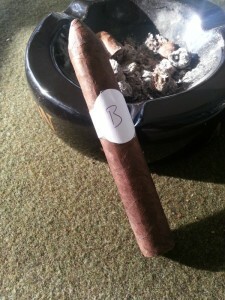 It remained here for the rest of the cigar – in that malty sweetness I usually find in DR tobaccos. [The sender] mentioned that this cigar was marketed as a full-strength offering. I am the first to admit that I’m a complete nicotine wimp, and this cigar did not hit me that way in the least. Only one other time has that been the case for me – the Oliva V was hyped to me as being full strength, but I never got that from them at all. Normally, things hit me a little harder with strength than they are noted to be. Wrapup: I actually made the comment while smoking this one that I thought it could be a VSG – but that the gentleman who was before me on the list would NEVER send me that, because he knows my love of Fuente-made cigars and would think I’d guess it…so I dismissed the idea. 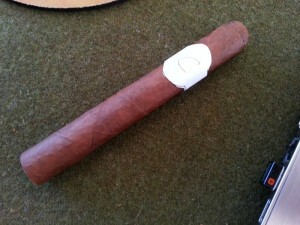 “Cigar C has a very toothy wrapper, and is exceptionally well made – it sports perfect cap construction in particular. Prelight, the wrapper and foot both are fairly mild in aroma – with the wrapper being a slightly sweet cedar or woodsy scent, and the foot only slightly sweeter but still in the same family. The cold draw holds firm to the aroma given; sweet cedar; almost (but not quite) floral. but certainly not over the top; it provided a “dark” sweetness – not like baking spice; almost leathery. This sweetness, too, borders on being floral, but at no point would I go so far as to say it is floral. At 1″, it has mellowed into some toasty flavors, with a mild drying effect on the palate – perhaps a slight touch of cocoa, although the sweetness has essentially faded well into the background. Flavors are overall more bright/less dark than earlier. It’s beginning to taste very My Father like; specifically, Tatuaje-esque. Construction is proving to be as perfect as my first impressions. Wrapup: These are made at the My Father factory, and it did indeed have the My Father signature…Pepin’s name was all over this cigar’s flavor profile. I will presume that the cedar sleeve imparted the clear (albeit faint) cedar notes on the prelight aroma and initial draws. 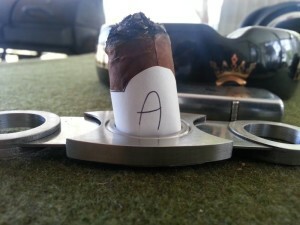 Always great write ups, and that Cigarburners.com site is pretty cool!! !